Student government is the most efficient way to hear students’ opinions, and GRC has finally clued in on this. The senior class is currently electing a class president and vice president, but no other class has this opportunity. Each grade primarily spends their day with students in their grade. They do not interact with other grades as much. Electing a senior class president will help reduce the communication gap between staff and students but it will not completely erase it. The issue of a communication gap could be easily fixed if every grade were represented in student government. Student government involvement is a great way to build skills in time management, leadership and efficiency. Having a student government with multiple grade representatives would make possible such school spirit-building activities as class vs. class competitions, powder puff football, and talent shows. If the student government could take these responsibilities under their wings, they would relieve the stress under the administration to organize these fun activities. If student government reps begin developing leadership skills their freshman year and can carry them all the way to their senior year, think about the amazing programs and activities that could be built in those four years. sponsorship shouldn’t be an issue, especially for such a noble cause. Student government is a student-run club so the teacher wouldn’t have many responsibilities. He or she would only have to stay after school once a week, which most teachers do anyway. High school students spend approximately 710 days here, so why not make it the best environment possible? Having a student government with participants from every grade would allow even more student voices to be heard. It is only fair for all voices to be heard, not just the seniors. 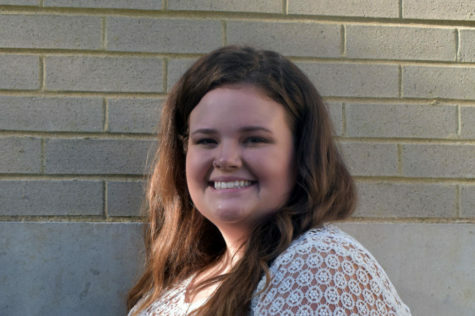 Olivia Montgomery is a Senior and second-year Smoke Signals member. 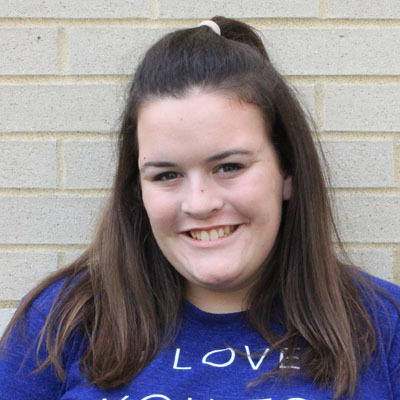 Her favorite animal is a polar bear, her favorite movie is Almost Famous, and she is involved with Y-Club.